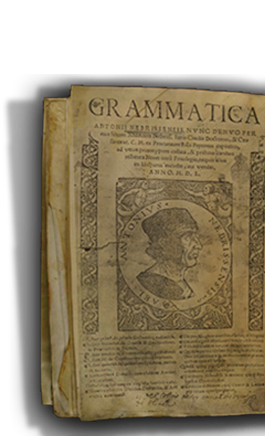 In that same year (1292) an illustrious grammarian, Antonio de Nebrija, published the first Spanish Grammar under the sponsorship of another family ancestor, Juan de Zúñiga (1474-1504), to whom he also dedicated the first dictionary (Spanish-Latin), which gave rise to the Castilian language. Two generations later, Luis de Zúñiga, chronicler and friend of Emperor Carlos, received a splendid polychromated marble bust from him. This bust was made by the milanese sculptor Pompeo Leoni, and it can be admired today at the Carlos V reception room of the Mirabel Palace (currently belonging to Carlos Falcó and his family). Luis accompanied the Emperor until his death at the nearby Monastery of Yuste . His son Fadrique de Zúñiga, first Marquis of Mirabel (1540), transformed the medieval fortress (13th Century) he had in Plasencia (Cáceres) into a beautiful Renaissance palace. Today the Marquesa of Mirabel is Alejandra (Xandra) Falcó, Carlos’ eldest daughter and General Director of Pagos de Familia Marqués de Griñón. In 1605, Miguel de Cervantes Saavedra dedicated the first edition of The Ingenious Hidalgo Don Quixote of La Mancha to another Zúñiga, Alonso Diego, VII Duke of Béjar, who thus became the patron of the first novel in the history of literature and the most universal written masterpiece in Spanish. His beautiful young wife, Juana de Mendoza, was immortalised in the extraordinary oil painting of Alonso Sánchez-Coello, chamber painter of Philip II (Marquis de Griñón Collection), recently selected by the Guggenheim Museum in New York for the exhibition From El Greco To Picasso (November 06- March 07). Marqués de Griñón. Excellence and innovation applied to wine and olive oil. However, it was his grandson, Carlos, a graduate in agronomy at Leuven University (Belgium) and a holder of a master degree at University California (Davis), who would boost the several hundred years old agrarian tradition in 1974, adding a new commercial dimension to it. Yet again, the key was the same spirit which encouraged his ancestors in the past: preserve everything worth preserving, improving it via initiatives or innovations, providing knew knowledge in each period. Carlos decided to convert the Marqués de Griñón label into a symbol of global excellence for wine and olive oil. In fact, Pagos de Familia Marqués de Griñón has managed to position itself at the very top for both essential elements to the Mediterranean diet and culture: wine and olive oil.